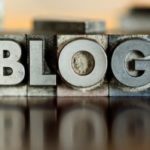 If you are having a blog on blogger blog and want to move from blogger to WordPress.com or hosted WordPress,this tutorial will help you to do the entire process. You can import your all posts and comments from blogger to wordpress with the help of built in tool in wordpress control panel called wordpress importer.Even the wordpress will help you to import all your posts and comments,it is unable to import the static pages and gadgets from blogger to wordpress with the help of wordpress importer. You have to copy the gadgets and the static pages in blogger and want to use it wordpress if it is indeed. 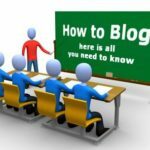 Note that all your images and other related files are hosted at the blogger and dont delete your blog after importing the blog to wordpress. Just follow the below steps to import your blogger posts and comments to your new wordpress blog. Goto your admin panel in wordpress. Go to www.yoursite.com/wp-admin and sign in there. In the admin panel look to the left side bar for the Tools menu Click on it. There will be a new drop down and click on the Import. A list of platforms will be listed and click on the blogger which will be listed first. You will ask to install the wordpress importer plugin.Install it and activate. Now you go to the import process and google will ask a authorization request. Grant access to it.Now you will get a list of your blogs. Click on the import which is directed to the blog url. It will ask you to map a username.That is you may have author name in blogger and want to give a username for all your imported post. Once you are completed all the above steps it will proceed to import process. Note that importing posts will make some overhead on the server and it will be better to import posts at low traffic time.